Martin is a director who enjoys giving personal attention to his clients by successfully managing their projects and through good communication. He has a reputation for producing high quality, innovative and cost effective design solutions. Martin has particular skills with regards to Flood Risk and SUDS (Sustainable Urban Drainage Systems) and overcoming Environment Agency objections and SUDS officer’s objections on difficult sites. He is also responsible for the financial well-being of the company and personally overseeing the workload of the engineering team. Neil takes the lead at GTA Civils & Transport in developing new business and extending existing relationships. He has a well rounded wealth of experience within the construction sector and is always willing to offer the benefit of his experience to new and existing clients. He has been in construction since 1987 and has held senior positions in previous employment prior to joining GTA Civils as a director in 2006. Neil is responsible for helping GTA Civils & Transport develop its highways team and also increase the commercial and residential housing market client base. In addition, Neil shares the responsibility for all GTA projects and managing the team of senior engineers, engineers and technicians. 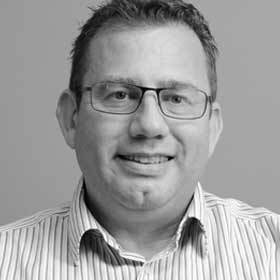 Neil’s skills across the engineering disciplines are strong, particularly in the areas of highways and building developments and client care. Neil is also responsible for managing the company’s health and safety policies; training staff; review and reporting to the board. Lawrence heads up the Transport Planning Team at GTA offering a range of services such as Transport Assessments, Travel Plans and transport modelling. He has over 27 years of experience with senior management roles at both East Sussex County Council and West Sussex County Council. 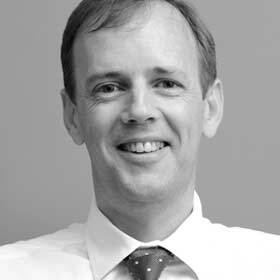 Lawrence has good knowledge and experience of local government and an excellent understanding of the whole planning process, from developing planning policy through the application process to construction involving Section 38 and 278 agreements. During his time in the private sector, he’s been responsible for delivering numerous Transport Assessments for a range of development types and is responsible for the long term transport planning and traffic monitoring of the Bishop’s Stortford North Development. During his time at East Sussex County Council, he was also part of the TRICS Management Board and has detailed knowledge of the TRICS database and its application in the development planning process. Lawrence also is a Reviewer for the Chartered Institute of Highways & Transport for those wishing to become Chartered & Incorporated Engineers. He is also helping the CIHT develop their presence in Sub-Saharan Africa. 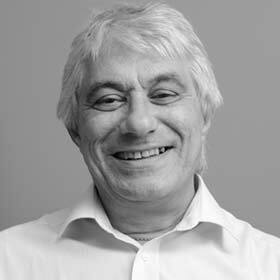 Roger has worked in the transportation field for 40 years and has substantial technical and managerial experience in transport analysis work in both public and private sectors. He was also a leading figure in the formation and development of the TRICS database and has an in depth knowledge of the system. Within GTA, Roger has prepared Transport Assessments for major new housing schemes, retail and other commercial developments throughout London and the South of England. He also provides technical assistance to East Sussex County Council in the specification, management, interpretation and practical application of transport models throughout the county, and has represented the council as highway authority at several Examinations in Public into new local plans. For Wealden District Council, Roger developed a traffic model to identify levels of traffic changes in certain EU designated sites (including Ashdown Forest SAC) that would result from new local plan and major development proposals across the southeast.